Exe is roomy, has all the mod cons, full height, easy to set up and is really a home-from-home. She has a 12v system, so you don’t always have to stay in caravan parks. We have a portable brake system and a full annexe available for hire at extra cost so just let us know. No speed over 100km per hour. No smoking in or around van. Van is to be returned fully cleaned - if it is not cleaned to the standard of how you received the van, there is a $150 cleaning charge applied. 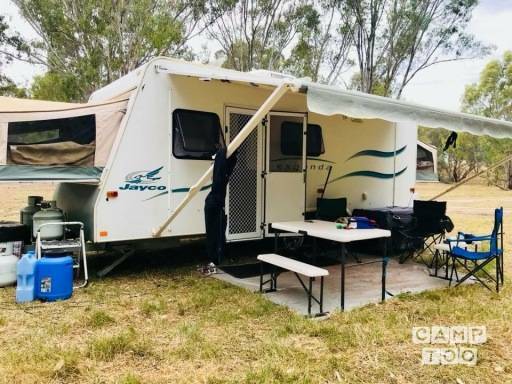 Je kan de caravan ophalen in Wyndham Vale bij Louisa.